The Ottoman Turkish writer Evliya Chelebi or Çelebi (1611-1684) travelled extensively through the Ottoman empire and neighbouring countries from 1640 to 1676 , both in a private capacity and at the service of the Sublime Porte. The account of his travels is recorded in his ten-volume Turkish-language Seyahatname (travel book), which he completed in Cairo. The Seyahatname contains a wealth of information on the cultural history, folklore and geography of the countries he visited. In 1670, Evliya travelled through southern Albania on a mission to muster troops and workmen to protect the Mani Peninsula in the Peloponnese, recently conquered by the Ottomans. In this section, he describes what he say and heard in Kanina, Vlora, Bashtova, Durrës and Kavaja. Having crossed the above-mentioned wooden bridge of Berat, we took the road southwards through prosperous villages and over high mountains. After 3 hours of travel, we arrived at the village of Sinja and from there journeyed to the village of Pobrat. 4 hours later, we were in the village of Frakulla, the estate of Muhtar Bey. After .... more hours, advancing southwards through prosperous villages, we crossed the Gjirokastra (1) river by boat below the village of Mekat. After touring the mine, we crossed the Aksu (5) (White River) on horseback. The waters of the Aksu mix here with those of the Gjirokastra river and then flow into the Bay of Vlora. From the Aksu we went on another quarter hour through a grassy plain to Mekat, a pleasant nd verdant village at the foot of a slope and surrounded by gardens and vineyards. It has 1 congregational mosque. There is also a farm-estate here with a large mansion. I spent a week here in the village of our lord Yusuf Bey, the son of Sinan Pasha. We exchanged much pleasant and intellectual conversation and enjoyed ourselves greatly. Seventy years before, my late father, on a journey such as ours, had stayed as a guest in this village, where he spent several years. Now I stayed in the very same room and completed an entire Koran recital for the sake of his spirit. On a wall in the room were his calligraphic samples and other inscriptions which he had composed while he was the guest of Yusuf Bey. I offered a blessing derived from the Koran recital to the noble spirits of my beloved father and of Ghazi Sinan Pasha. Bidding farewell to the bey, we continued our journey southwards in a valley, passing through Xhyherina and Qishbardha and other prosperous villages, and arrived in .... hours at the lofty and peerless fortress of Qanye (Kanina). It was initially constructed by the king of Spain. Its name in Italian is Pokrondar. In the year .... it was conquered by Koca Mahmut Pasha, vizier of Sultan Mehmed the Conqueror. It was later occupied by the Venetians. In the year .... during the reign of Sultan Bayazid II the Saint, Ghazi Küçük Evrenos Bey besieged the fortress and started to bombard it. The infidels inside began to scream and shout. Once the infidels within surrendered and when, begging for mercy, they asked, “What shall we eat?” Küçük Evrenos Bey ordered, “Qan ye (Eat blood)!”, thus giving the fortress its name Qanye (Kanina). It is now on the border of the sandjak of Vlora. From here you can even see the geese and chickens in the fortress of Vlora, which is down by the sea to the west. Kanina is a lofty fortress rising to the heavens. It was constructed solidly on a mountain promontory of earth and pumice rock. It is triangular in shape and has a circumference of 3,000 paces. It has no moat, not a single pace wide, nor does it need one because it is surrounded by sheer rocky cliffs and precipices. Inside there are 300 stonework houses with tiled roofs. Here is also the Mosque of Sultan Mehmed which has a tiled roof and a graceful minaret. Near this mosque is the mansion of Ghazi Sinan Pasha. From the fortress of Kanina one can see the plain of Vlora, the Sea of Corfu, (6) the island of Corfu 150 miles away, as well as the bays of Vlora, Dukat and Progonat, and the fortresses of .... and .... along the coast. It is such a lofty fortress - the whole world is visible below one’s feet. The fortress of Kanina has three gates, one facing south-east which links the fortress to the open town on that side. The second faces north and opens onto the road which descends to Vlora. The third faces south and opens onto the small extramural settlement (varoş). Near this gate is the citadel which has one gate facing east and communicating with the main fortress. The citadel contains only 20 houses built in the old style with tiled roofs. It also has storage houses for grain and munitions and cisterns for water. Outside and below the citadel walls there are 4 cannons facing the harbour of Vlora, such as no emperor has ever possessed and no frontier post has ever disposed of. One of the cannons is so large that it is inhabited summer and winter by a homeless man, together with his quilt and mattress, his frying-pan and his felt jacket. In fact, a kind benefactor had a door made for him in the barrel of the cannon which the fellow can open and close, just like the door of a house. He lives there as if in a room and lies down and gets up inside the cannon! 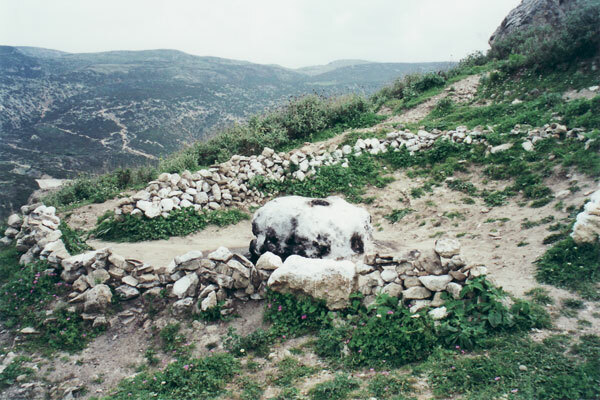 Above the northern gate there is an inscription in celi script on a square slab of white marble indicating the date when Sultan Suleiman repaired and reconstructed the fortress. The roads in this fortress are all up and down. There are no bazaars, khans, bathhouses or public buildings inside the walls, but the open town to the south of the fortress contains 300 stonework houses with tiled roofs and gardens and vineyards, all piled on top of one another. Here, too, there is no sign of a bazaar. There is only the spacious Mosque of Sinan Pasha with its high and elegant minaret. There is also a tekke of Hadji Bektash Veli here, which was also endowed by Sinan Pasha. This tekke is famous throughout Turkey, Arabia and Persia. Here one finds many devotees of the mystical sciences and the dervish life of poverty. Among them are lovely young boys. Visitors and pilgrims are fed copious meals from the kitchen and pantry of the tekke because all the surrounding mountains, vineyards and gardens belong to it. Near the tekke, the benefactor of the endowment, Ghazi Sinan Pasha, lies buried along with all his household and retainers in a mausoleum (7) with a lofty dome - may God have mercy on their souls. In short, it is a rich and famous tekke, beyond my powers to describe. The fortress of Kanina is guarded by 400 soldiers and the warden, who receive their wages from the Emin Aga, customs officer of Vlora. Half of the soldiers of this fortress were ordered to set off in the defence of Mania. For our part, we set off from the northern gate down the mountainside and continued for 2 hours enjoying the view, at times on horseback and at times on foot. The harbour and fortress of Vlora. (8) Vlora was founded by Sultan Suleiman who ordered it to be built in the form of a courtyard (avlu) overlooking the sea to protect the Bay of Vlora from attack by the Venetians, and when it was finished, it was given the name Avluya. The name figures in the Offices of the Imperial Registry as the sandjak of Avlonya. (9) In accordance with the old statute, Vlora is the capital of the district, but Berat became capital since it is in the middle of the vilayet. The fortress of Vlora is built on a low sandy spit at the entrance to the Bay of Vlora and the Bay of Dukat. It is octagonal in shape and is very strong and solid, a veritable great wall of Sultan Süleiman. People say the Ottomans do not know how to build fortresses, but anyone who has not seen the fortresses of Szeged on the frontier of Eger, (10) the fortress of Bender on the banks of the Dniester river on the frontier of Ochakov, and this fortress of Vlora, cannot understand how masterful Ottoman construction work can be. The walls of the fortress of Vlora are 20 ells high and 10 ells thick on all sides. At the 8 corners of the fortress walls there are 8 large bastions, each like the walls of Gog and Magog, and each surmounted by 7 great long-range battering guns. (11) Aside from these, inside the iron gates at sea level there are 47 other battering guns with rifled barrels looking out towards the bay and mounted on carriages with seven-headed dragons. They are covered with red canvas and are so big that a man can fit into their barrels. The cannons are ready to fire at all times, and the men guarding them lie right beside them day and night. From one corner to the next of the 8 corners is a distance of 120 paces, so if we add it up, we come up with the total circumference for the fortress of Vlora of 900 [sic] paces. Inside the fortress is the Mosque of Sultan Suleiman and at the very centre is the tower of Suleiman Shah. It is a very tall and finely-wrought tower, 7 storeys high, and is built of chiselled stonework with a lead-covered conical dome and is topped by a guilded pinnacle. 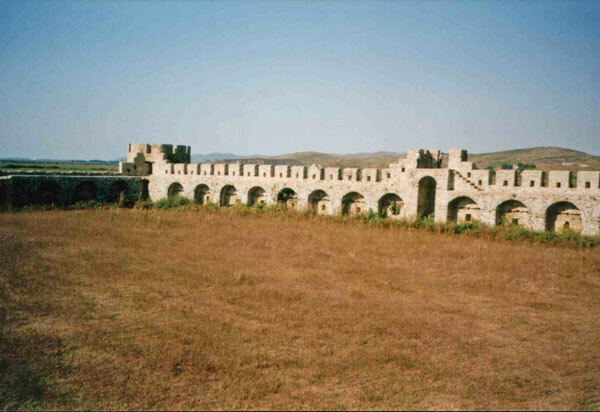 This may be considered the citadel of the fortress of Vlora. It is a very solid and tall tower, like the Kalamaria Tower (12) in Thessalonika, since both of them were built by the great Sinan, the architect of Sultan Suleiman. The tower is inhabited only by the warden and is filled with layer upon layer of munitions and other military equipment and supplies. Inside the outer fortress there are some 300 squat and narrow old-fashioned earthen houses with tiled roofs and with no vineyard, garden or courtyard. Although the public thoroughfares are wide, there is nothing else but a bazaar: no khans, baths or other public buildings. The fortress has 2 gates, the space between them being completely full of munitions of various kinds. It is guarded by sentries and watchmen day and night. One gate faces east and the other west. The fortress is completely surrounded by a moat 50 paces wide on all sides and filled with sea water, which is, however, swampy. Each of the gates has a drawbridge in front of it which is raised at night and secured with chains to form a protective barrier. There are 500 cannons, small and large. The tower is inhabited by the warden, 12 officers and 400 garrison troops. Half of these soldiers were ordered to depart to defend the vilayet of Mania in accordance with the imperial decree. Also here are the steward of the sipahis, the commander of the janissaries, a qadi with a salary level of 300 akçe and responsible for 105 prosperous villages in the region, a market inspector, a collector of tolls, a customs inspector, a poll-tax official, a chief architect, an officer of the admiralty, and the mayor of the town. To the east of the fortress and somewhat above it is a slope with olive trees. All the hills and fields in the area are covered in fruit trees, vineyards and olive orchards. On this high peak is situated the tomb of .... Baba Sultan (13) with a few Bektashi dervishes. Prayer-grounds. Between the fortress and the open town there is a broad meadow used for public worship, which can encompass 2,000 people. From the fortress to the open town, the meadow is 1,000 paces long. The open town of Vlora. The open town is quite separate from the fortress. It is situated on a level grassy plain with gardens and vineyards, roses, lemons, oranges, olives, pomegranates and figs, like the fabled garden of Irem. It has 1,000 beautiful one- and two-storey stonework houses with tiled roofs. There are .... quarters, including those of the Hünkâr Mosque, Mumci Zade, the tanners, Hüsein Aga, the courthouse and the bazaar. Made his house into a mosque (mescid) for the sake of God. Turned it into a congregational mosque (cami’) - bravo! Find the light of truth: Mosque of those brought near to God. Year 949 A.H. [1542 A.D.]." This mosque is a site of great spirituality. Then comes the pretty Mosque of Mumcu Zade, with a large congregation. It is covered in tiles and has a stone-carved minaret. The Mosque of Hüsein Aga near the tanners’ quarter - a new and well-constructed building covered in tiles and with a graceful stone-carved minaret. The mosque of the fortress - described above. There are also 5 neighbourhood mosques in the 5 quarters mentioned above. There are 3 medreses: Yakub Efendi, Mumcu Zade and Hüsein Aga Zade. There are 5 primary schools. There are 3 dervish convents, including the Halveti Tekke of Yakub Efendi (15) with hundreds of devout dervishes, barefooted and bareheaded, with patched woollen cloaks; and the above-mentioned tekke of Kusum (Kuzgun) Baba on a hillside overlooking the fortress, set amidst vineyards, like the fabled garden of Irem. There is 1 small bathhouse - a marvellous structure - across from which is the Shari’ah courthouse built by Acem Mehmet Efendi when he was a town magistrate. Since I pronounced its chronogram: “And he is the best of God’s servants. All the other fountains are no longer functioning, so the people of the town have a pressing need. Water sources exist, but the channels have become ruined with the passage of time. A benefactor could improve the situation with a bit of effort and cheer the martyrs of Kerbala and recall the spirits of the twelve imams. As it is, everyone in the town - rich and poor, big and small - has to walk for half an hour out to the vineyards east of town in order to get a sip of water. Apart from this, there is plenty of everything. They have a great abundance and variety of fruits in their gardens and vineyards. Important foods and drinks. In the bay one finds carp, bonito, chub mackerel, mullet and bass, as well as fish roe, better than we get in Turkey. There are great quantities of the wine called reyhania, and of lemons, oranges, olives and grapes. In the villages of Dukat, they grow red-coloured madder roots and Anatolian rhubarb, which physicians collect and export to Europe. There is no pitch as pure and delicious as that of Vlora. If you pour boiling pitch into a new cup, then rinse it out thoroughly and drink water from the cup, it will cure ailments such as yellow and black bile, phlegm, worms etc., and will cleanse your body. Good millstones, with pores like sponges, are to be quarried from the cliffs below the upper fortress of Kanina. These millstones are exported to Western Europe. They are better than those produced on the Aegean island of Milos. Along the road to the vineyards, there is a gypsum mine, an iron mine and various other mines. Indeed, the Vlora region is a mine of mines. In short, the sandjak of Vlora is a hidden Egypt - potentially a source of great wealth to its governor. The pure white honey which is produced here, with its aroma of musk and ambergris, is better than that made in Athens and on the island of Crete. One cup of honey mixed with twenty cups of water makes a delicious sherbet or pudding. 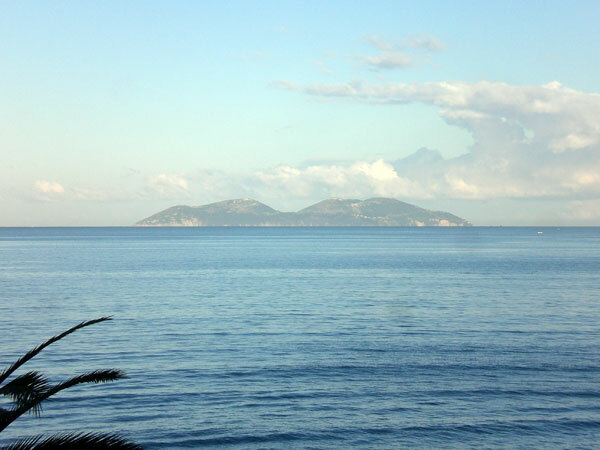 The great harbour of Vlora. It lies between the fortress of Vlora and the fortress of Jengjeç, and can hold 1,000 ships. It is said that Sultan Suleiman built the fortress of Vlora in order to protect his ships anchored in this harbour. Later he anchored the imperial fleet here, and it was from here that he attacked the Venetian island of Corfu. Big bargia galleons cannot enter the harbour, but rather lay anchor half a mile out in the water. Between the town of Vlora and the open sea is the village of Zvërnec, containing 150 infidel houses with a large and thriving church. All these dissolute Christians make their living by fishing and extracting salt. The saltworks here are an independent concession (emanet). The infidels are all exempt from the customary taxes and are charged instead with the task of extracting salt. This salt, which is very white and tasty, is loaded onto hundreds of ships and exported to Europe. West of this village, on a cape 1,000 paces from the seaside, is the fortress of Jengjeç. It is now an abandoned ruin with a large harbour. Gedik Ahmed Pasha partially destroyed the fortress and the towers at the mouth of the harbour when he conquered it. The stones left over were used to construct the fortress of Vlora during the reign of Sultan Suleiman. In the four corners of the harbour of Jengjeç are fishing weirs. West of the harbour of Jengjeç, 18 miles offshore, is the island of Sazan. Every year, the fleet of the Venetian infidels spends the winter at this island greasing their ships. Then, whatever direction it heads out for, it does so from here. South of the fortress of Vlora there is a place for setting sail called Kara Burun (Black Cape). To the southeast is the region of Dukat with 100 rebellious Albanian villages. The inhabitants are black infidels with black head and black hats, but if you call them infidels, they will kill you. Despite this, every year they assist the infidels of Crete. They are among the most valiant warriors of the Albanians. However, the people of Vlora are no less brave and valiant warriors and, with their 10 frigates, they can defend the coastal fortresses against all the infidels of Europe. At the moment, to be sure, half of the garrisons of these fortresses has departed on these very frigates to defend Mania. Vlora has a mild climate but does not have good water, since the people drink well water. Nevertheless, by the grace of God, the lovely boys and girls are very attractive. The young men, however, are all brigands. They wear short skin-tight clothes, as is the fashion throughout the Mediterranean Archipelago, with bare calves, fezzes on their heads, black Circassian-style shoes on their feet, and white Bedouin-style cloaks on their backs. They are ghazis always ready for holy war. Most of these ghazis look like Kalenderi dervishes: shirtless, barefoot and bareheaded, with brand marks on their heads and gashes on their bare chests, and their hearts rent with anguish. Whenever they sit down or stand up, or whatever they do, they exclaim, “Oh Mohammed, oh Ali!” They are devoted to the Prophet’s family, and can all read Persian. They all have ruddy complexions and are of a lively and robust nature. May God be pleased with them, for they are good souls. Bidding farewell to all our friends and companions, and taking with us a number of guards as escorts, we journeyed westwards for 2 hours to Cerkovina, a large and well-developed village and crown land. Just beyond, at the point where the Gjirokastra river flows into the Gulf of Venice (Adriatic Sea), we boarded boats and, taking all our horses with us, crossed over to the other side and entered the kadi district of the plain of Myzeqe. We had a pleasant time in the fine and prosperous villages there, continuing our journey westwards for 5 more hours. The fortress of Bashtova, at the border of the vilayet of Elbasan. Bashtova is Albanian and means .... . This fortress was founded by the doges of Venice. 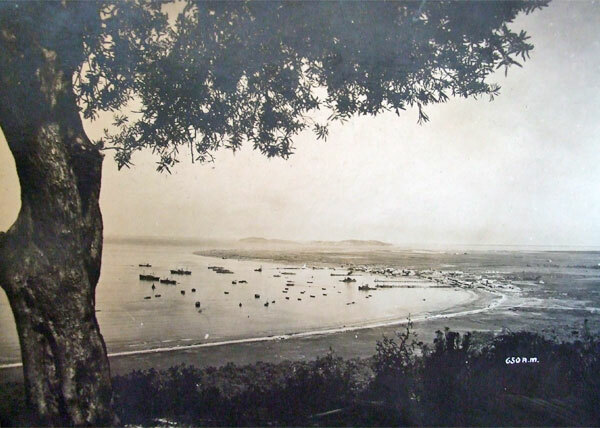 Later, in the year .... it was conquered by Ghazi Mahmut Pasha and Ghazi Bali Bey of Semendria when Sultan Mehmed the Conqueror was on his way to Shkodër. (17) Bashtova now belongs to the sandjak of Elbasan. It is situated on another small bay on the east coast of the Gulf of Venice, into which flows the great river Shkumbin which comes from Elbasan after joining the Vajza river. The river has destroyed one of the walls of the fortress. It is a small, square fortress on a sandy spot where the river flows into the sea. The circumference of the fortress is 700 paces. It is guarded by a warden and 70 garrison troops. It is under the authority of the Emin Aga, the customs officer of Durrës, and all the fishing weirs and other sources of income belong to the state, because it is a great scala or emporium used by ships coming across from Spain, Calabria, Puglia, Corfu and Venice. Inside the fortress there is a mosque with a tiled roof and 40 to 50 little houses for the garrison. The Maltese infidels have penetrated the ruined wall and set fire to the fortress on several occasions. There is no bazaar, khan or bathhouse. But there are vineyards scattered around the area. The local Albanian inhabitants, although very poor, are friendly and hospitable. They fish for a living and trade with the Europeans, because this also serves as a minor emporium of Elbasan. Big galleons cannot enter the port because it is too shallow and sandy, but it is a fine and suitable place for smaller ships to lay anchor. From here we continued northwards for .... hours, passing agreeably through the towered farm-estates of the plain of Myzeqe, until we arrived at the large and ruined fortress of Durac (Durrës), emanet of the toll (bac). In ancient times it shone brightly, like the lamp (sirac) of the full moon. According to the writings of Latin historians, the Greeks were the ones who built the fortress. Later it fell into the hands of the Spanish, from whom it was taken over by the Venetians by means of a ruse. Thereafter, in the year .... (18) when Mehmed the Conqueror took the fortresses of Shkodër, Ulcinj, Bar and Lezha, Mahmud Pasha took the fortress of Durrës from the Venetians by force. It was subsequently reoccupied by the cunning and warlike infidels and, in the year .... after the accession of Sultan Bayazid II (19) was definitively conquered by the Ottomans. According to the survey register of Suleiman Khan, it is ruled by a voyvoda in the sandjak of Elbasan. It has a qadi with a salary level of 150 akçe and disposing of .... villages. It is crown land, administered by an independent Emin and his 200 employees, and free from government intrusion and taxation. The farmed revenue is fixed at 30 yük of akçe, because it serves as the major emporium for Elbasan and other vilayets. It lies directly on the Gulf of Venice, and is connected to Elbasan by a highway which is served at all times by carriages, and so trading vessels prefer to land here. There are large saltworks here which are an independent concession. The salt is exported to Rumelia and Europe by boat and by carriage, since it is a very tasty saltworks, and at the docks the salt is piled up like mountains. Description of the fortress of Durrës. In a level salt plain on the coast of the Gulf of Venice a smaller bay penetrates 70 or 80 miles inland. On the shore of this bay there is a large, square fortress, 5,000 paces in circumference. With the passage of time and the change of many ruling families, it became defenceless, fell from favour, and now lies in ruins. Most of the inhabitants fled and those who remained could not withstand the rebellions of the infidels. In the year .... during the reign of Sultan Bayazid II the Saint, a small square castle was built in the southern corner of the fortress, 800 paces in circumference and with 2 gates: the Elbasan gate facing east and the Docks’ Agent (emin-i iskele) gate at the shoreline, facing west. It has 150 squat houses with tiled roofs. There is no bazaar, khan or bathhouse, but there is 1 congregational mosque, that of Sultan Bayazid II the Saint, with a tiled roof and a minaret of chiselled stonework. There are no vineyards or gardens to speak of because it is a low-lying, salty and brackish region. The warden and 150 garrison troops receive their salaries from the Emin. It has a qadi with a salary level of 150 akçe, who is sometimes attached to the jurisdiction of Elbasan. The steward of the sipahis and the commander of the janissaries also reside in Elbasan. There are altogether 10 small cannons.... . In brief, it is a noteworthy emanet, but not a very flourishing town. From here, we set off eastwards down the coastal plain of the bay, viewing well-developed, verdant villages to the left and right of the road and prosperous towered farm-estates, and in .... hours we reached the well-protected and mighty town of Kavaja. It was founded in the year .... by .... . Kavaja, at the border of Elbasan, is ruled by an independent voyvoda under the jurisdiction of the Emin of Durrës. Since the fortress of Durrës is located in an isolated and unproductive place on the coast, the qadi of Durrës resides here, whereas the Emin still lives in Durrës. The qadi has a salary level of 150 akçe and has authority over 73 villages. Kavaja is a charming town on a broad, flat and fertile plain at the end of the bay projecting from the gulf, and is surrounded by gardens and vineyards. It has 400 one- and two-storey terraced stonework houses with tiled roofs and embellished with delightful gardens, ponds and fountains. There are also exquisite mansions with towers and pleasure-domes. Many noble families live here, such as the Haris-zade family and the Pasha-zade family. Kavaja has 4 quarters, including .... and ....; and 4 congregational mosques, including .... in the bazaar, and .... . There are also 4 neighbourhood mosques, all with squat minarets lacking stonework. There are 2 medreses, but the students are not much interested in learning. There are 3 primary schools and 2 dervish tekkes, as well as 200 prosperous and well-kept shops in the bazaar. On both sides of the bazaar street grow mulberry trees which provide the bazaar with shade. All the trades are represented here and one finds all kinds of valuable and invaluable goods. The bazaar is wealthy and bustling, since people from Bashtova and Durrës come here to buy their goods and produce. There are 2 khans for travelling tradesmen, also built of carved stonework, in which all sort of fabrics are to be found, as if they were covered bazaars. There are no baths in the bazaar, but over 40 private baths are to be found in the better homes - or so I have been told. Haris-zade Aga has promised to construct a public bath and has secured a lot for it in the bazaar - may God fulfil his intention. No one until now has undertaken such a project. It was deemed unnecessary because the noble families allowed their relatives and retainers to use their private baths. There are many rich businessmen and generous home owners. Kavaja has a mild climate and so the people are very hospitable. The pitch mines of Selenica. One yük = 500,000 akçe. Conflation and expansion of two Koranic phrases: “And God does what He wants” (3:40, 14:27, 22:18) and “God judges what He wills” (5:11). No doubt the Shushica river which flows into the Vjosa near the village of Mekat. Evliya referred to it above as the Kuruçay river. 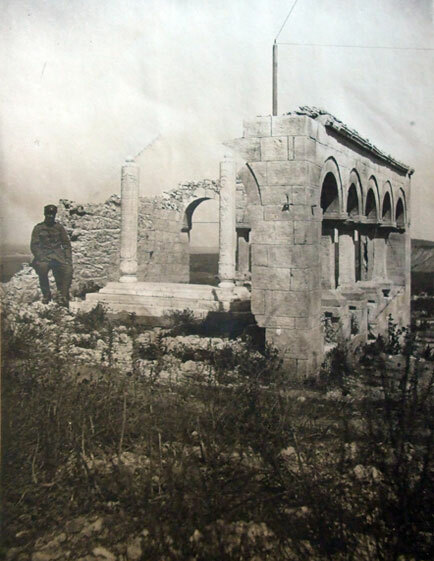 The mausoleum, now since disappeared like the other Muslim buildings referred to by Evliya, was still subject of veneration during the visit of Johann Georg von Hahn ca. 1848. Hahn reports, “[The owners of the fortress] are descendents of the first Turkish conqueror of this region, the famous Sinan Pasha of Konya, whose grave can be seen in a small tekke at the base of the castle. People come here on pilgrimage from far off, as the Turks consider Sinan to be a saint.” (Hahn 1854, p. 72). Sultan Suleiman was in Vlora in the summer of 944 [1537 A.D.] during the Corfu campaign, when he no doubt gave orders for the construction of the fortress. It was still extant in 1906 when its ruins were demolished to provide construction material for the road between Vlora to the port. Only a few fragments have survived, situated on the outskirts of the modern town in the Plaka quarter. The Turkish for Vlora is Avlona or Avlunya, thus the folk etymology. The toponym Vlora actually derives from Ancient Greek word for a gorge, ditch, or channel, Lat. Aulon, Aulona. The word evolved into Med. Lat. Valona, and in Albanian, with Tosk rhotacism, became *Vëlora and then Vlora. Turkish balyemez. Franz Babinger (1930, p. 73) translates this term into German as Faule Metze and suggests that the word may be derived from the Italian palla e mezzo. i.e. the famous White Tower. Below he is called Kuzgun Baba. According to legend, Kusum Baba was a Bektashi dervish in the early years of Ottoman rule who arrived in Vlora with several companions. He was attacked by robbers on a mountain pass who chopped off his head. The saint then stooped, picked up his head, and continued his journey to a hill overlooking the town of Vlora, now called Kusum Baba after him. There he collapsed and expired, having first ordered his companions to dig a grave for him. A mausoleum was built on the site, followed by a Bektashi teke, which was subsequently supported by the aristocratic Vlora family. The mausoleum and Bektashi teke of Kusum Baba were reopened in April 1998. Now known as the Murad Mosque, built in 949-964 [1542-1557 A.D.]. This is the only Ottoman monument preserved in Vlora today. Near Mesalongion at the mouth of the Gulf of Corinth. In 883 A.H. [1478 A.D.]. In the year 883 A.H. [1478 A.D.]. In the year 886 A.H. [1481 A.D.].